Download Online Furniture Store Website Template PSD. This is a multipurpose website template for online furniture store and interior design services. 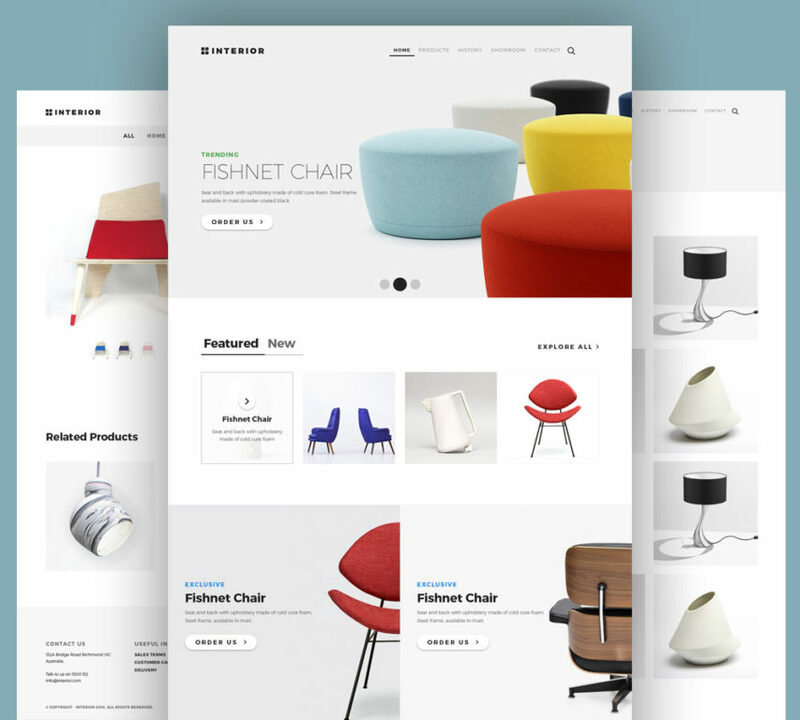 Online Furniture Store Website Template PSD is build based on a Bootstrap grid system which makes it it easier to edit and customize according to your needs. It has a modern style trend and clear layout that can also be used for other online stores or ecommerce websites such as fashion store, digital store, food store, bag store, watches store, sport shop, shoes shop, beauty store, games shop, jewellery shop, etc. Hope you like this Online Furniture Store Website Template PSD. Enjoy!